When I started writing articles for this blog, I only needed to open a text editor, write something interesting and publish it. This in itself was already hard enough. Expressing your own thoughts and feelings to the world is frightening, yet the practice is very rewarding and eyeopening at the same time. My hacker nature wanted to push harder and farther. I’ve introduced the need to publish every article with a hand drawn image. Following this, I’ve introduced several review cycles in a hope that I will reduce the number of grammar errors. Then, I’ve added additional background images to the site which required color matching between them and the header image on the articles. 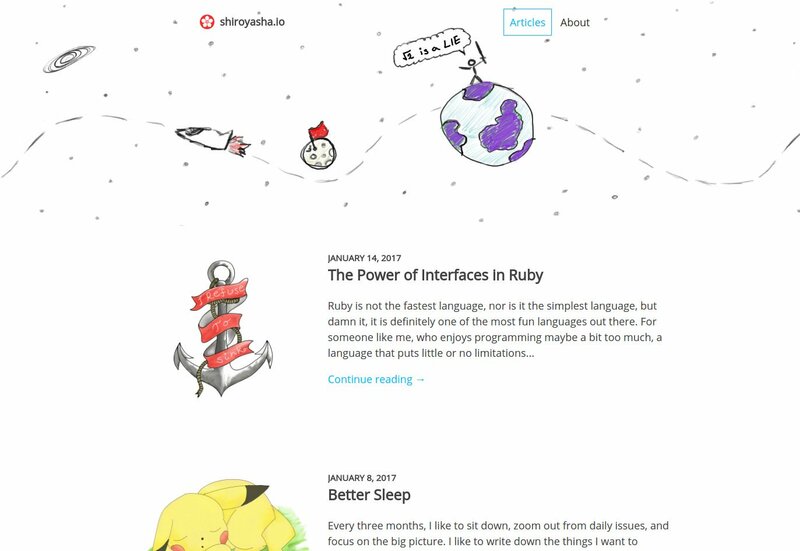 I enjoyed tweaking the colors on the page, drawing images, and fixing issues with the responsive css layout, but unfortunately all of this took quite a bit of time. I need at least two hours to write an article, and at least three hours to draw a decent image for it. Usually it took me around six hours to produce one article. Six hours is unfortunately too much for someone who has a full time job, exercises regularly, and gives his best to be in touch with his friends and family. I’ve had to reduce the unnecessary overhead, or to give up writing articles for this site altogether. So I did the first thing and removed everything that was time consuming. No more images, no more unnecessary reviews, and no more responsive things on the page. Now I can once again open my good old Vim, write an article, and publish it the same day! I hope that this will increase the number of things I can share, and achieve the magical number of one article per week. Cheers for keeping things simple and easy!